Family Owned and Operated Laboratory Established in 1997. All Products are Fabricated in the U.S.A. Guaranteed. Most Updated Technologies & Materials. 5 day in-lab Turnaround on the Majority of Products. Specializing in CAD/CAM, Implants, Fixed Prosthodontics. 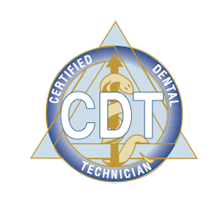 It is common practice for dental laboratories to provide new doctors with one or two of their best possible restorations. Continuing to do so, case after case, year after year, becomes the real challenge. In order to meet this challenge, we have developed the most comprehensive Quality Control Process in the industry. All of our personnel are involved with the Quality Control of your case, from the initial unpacking through the final delivery to your office. AST's Quality Control process is split into three segments to ensure that completed cases are crafted precisely to the doctor's prescription. Our passion for quality has remained our reputation, and we strive to always institute the highest level of quality control. Our process has been so effective that we maintain a remake ratio well below industry standards. Once your case is entered into Labtrac by the Shipping and Receiving Department, it goes through Quality Control before being put into production. Your impression is inspected to make sure margins are readable and there is no noticeable distortion that could cause complications in seating the final restoration. Our Quality Control Department checks bites and inspects opposing models for accuracy. If a problem is detected, the doctor is called and advised on how to most efficiently resolve the issue. After the initial inspection, your case moves on to the Model Department for model fabrication (or to the appropriate department). Throughout a case's life cycle, it progresses through several departments within the laboratory. After each department completes its work, your case is handed to Quality Control and checked by the department manager. Upon completion of your case, it is sent to Quality Control for a final inspection. All cases are checked for marginal integrity, contour, shade, inter-proximal contacts and occlusion. Quality Control verifies dentistprescriptions once again to make sure instructions have been followed precisely. Your case is then sent to Shipping and Receiving to be released to your office. Use double cord technique when taking an impression. At least 1.5 mm reduction for most restorations. 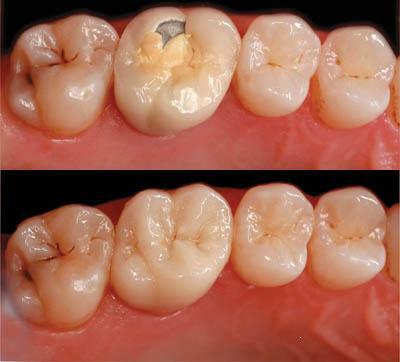 For a 2-unit or more posterior cases, take full arch impression or bite registration for correct mounting. Dry out prepped teeth before taking an impression, especially clean out bleeding. Bite a little longer to set and press down all the way. Write due date on lab slip. Check impression for void, distortion, etc. If you think the margin is not visible, first pour it up and check before you send it. Alginate impression must be poured up before sending. Implant and attachment must include all components. Stump shade for all porcelain work. The case will be placed on hold if any of the above information is missing. NOTE: We use most implant and attachment systems. You must send us all components, including analog and abutment. We do not keep or order any components. Do not send case and components separately. Any case that has missing components will be returned. Finished cases are based on what you sent to us. Everything depends on your impression and preparation. For all remakes, you must send detailed information as the reason for remake, potential problem, visual aids (photo, graphic, drawing, or sample), and anything that will help us to investigate and take appropriate corrective actions. For cases with no occlusal clearance, and if there is no other instruction, we will reduce abutment with reduction copying or adjust opposing, whichever is most appropriate. In case we make a coping, there will be a $5 charge. If your crowns or bridges does not fit on the first try in, first take a look at the working model for any marks for reduction before seating a crown, it may be marked in red or blue. Sometime the doctor is not aware of this situation, and they simply return it back to the lab complaining that the crown does not seat. Many times we receive this type of case back for a remake. We can not remake unless you have prepped again and take a new impression. In cases like this we would charge again, since lack of occlusal clearance is not a lab mistake. Do not schedule your patients appointment to seat crowns on the day after your immediate return to the office after a closure, vacation, or long weekend. Prompt payment is necessary in order to maintain a good working relationship. We will send the monthly statement on the 1st day of the month. Full payment is expected by the 21st of each month. If you do not send payment by the 21st, there will be an added finance charge of $40 or 1.98% per month to your total balance whichever is greater. In case of returned check, there will be a $50 financial charge plus a $40 or 1.98% per month late charge. After a returned check, only Bank Check or Money Order will be accepted. If at all possible use emails to contact the lab. Always reference the patient's name. 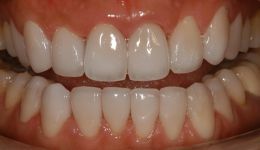 Every patient is unique in regard to shades, and there are many factors that contribute, such as dentin shade, translucency, unusual lines that look like a window crack, calcification, a glass-like look, and the list goes on. 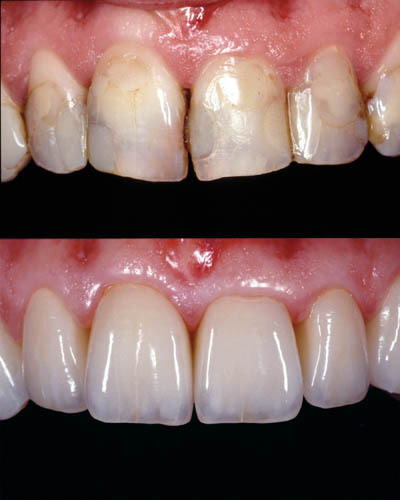 Even more challenging is when a patient has bleached teeth. By sending cases to us, you are entering into a binding contract to follow the notes above.